Dallas, TX – April 1, 2019 – Photographer.org (www.photographer.org) is celebrating the official launch of Photographer.org to the worldwide photography community with a month long giveaway, including a grand prize of a Sony a7 III camera. Photographer.org is a Modern Photography Organization that connects consumers to photographers in their area. 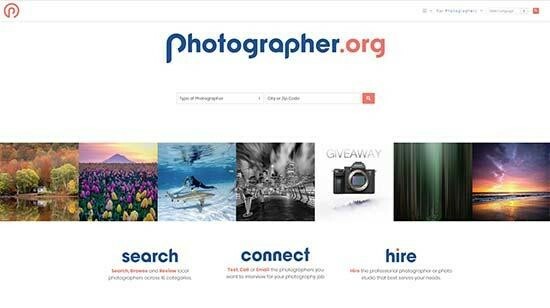 Photographer.org membership is free for working photographers and it is free for anyone to utilize to find a photographer. Photographers worldwide can now sign up for their free account and profile on Photographer.org. 10 Complete Store Runner-Up Prizes will also be awarded courtesy of Greater Than Gatsby (www.greaterthangatsby.com). To learn more about the full entry requirements and options, including official rules, please visit the Photographer.org Giveaway page.